Here comes the letterman masterpieces of the 1970s. Crafted with the first-rate satin fabric and premium viscose lining, this is one of the ideals for your high-school and college wardrobes. More specifically. When you’re one of those hip hop fans that are closely attached to the early music band makings. So here we are yet again to witness some of the freshly thread-weaved. 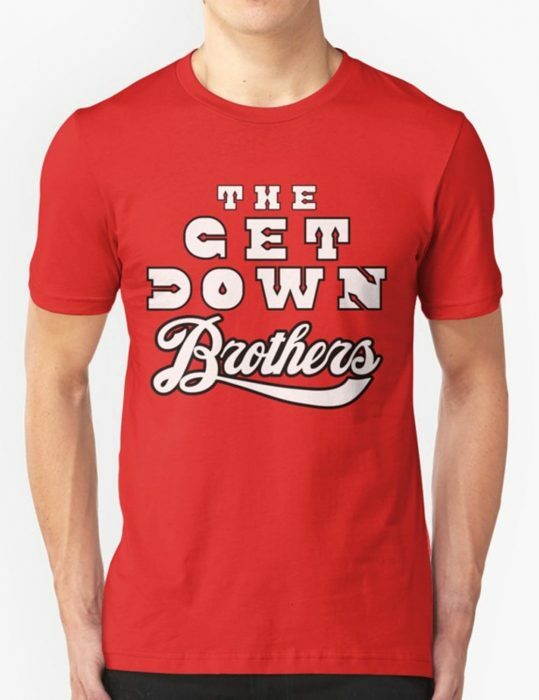 The Get Down Brothers merchandise, and starting right from their main solo singer Dizzee. That’s right! 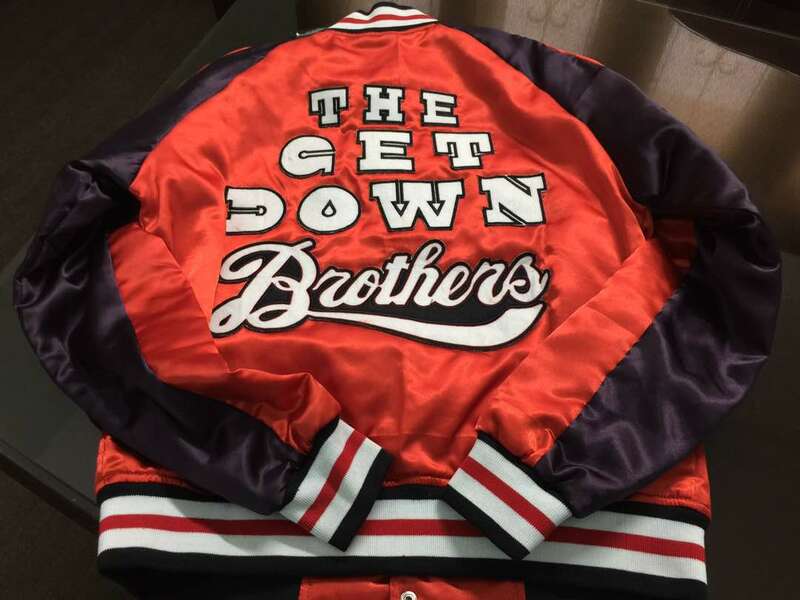 We are about to surprise all of your South Bronx TV series with the sensibly drafted The Get Down Brothers Jacket. Be ready to put up the hip-hop old school traditions right on and walk on with the audacious temperaments. 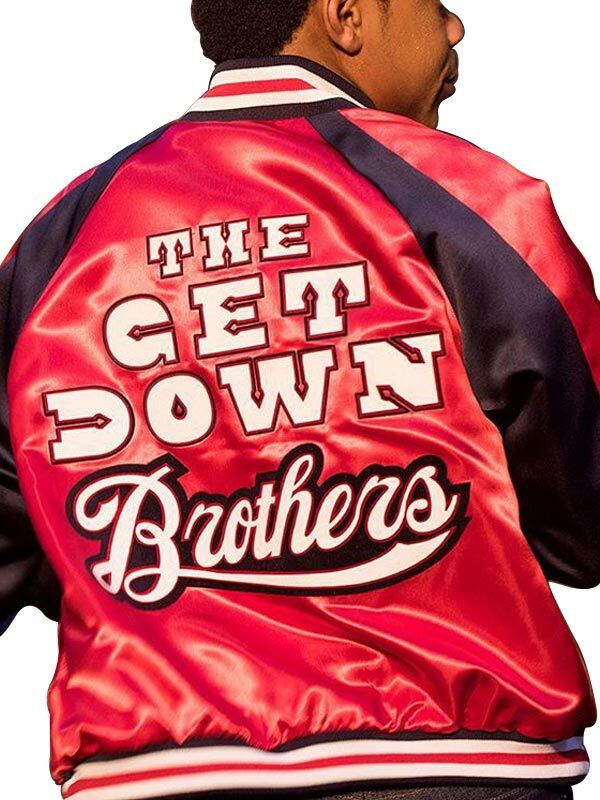 The Get Down Jacket is neatly cultured with all the body ensemble exactitude. This get-up merchandise is for todays and tomorrows, as it is completely adaptable to your everyday environments. The classic letterman outfit is closely elaborated with quality rib-knitted collar, cuffs, and the hemline. The collar is rib-knitted on the pattern of a v-shaped style. The front closure is kept a full button conclusion to let you fittingly get in with the ideal academic embodiment. Conclusively, we are looking forward to one of the high-class in the form of the early New York City pop culture sections. No fabric failures whatsoever, in our product and your expectations. The picture-perfect garment assemblage. 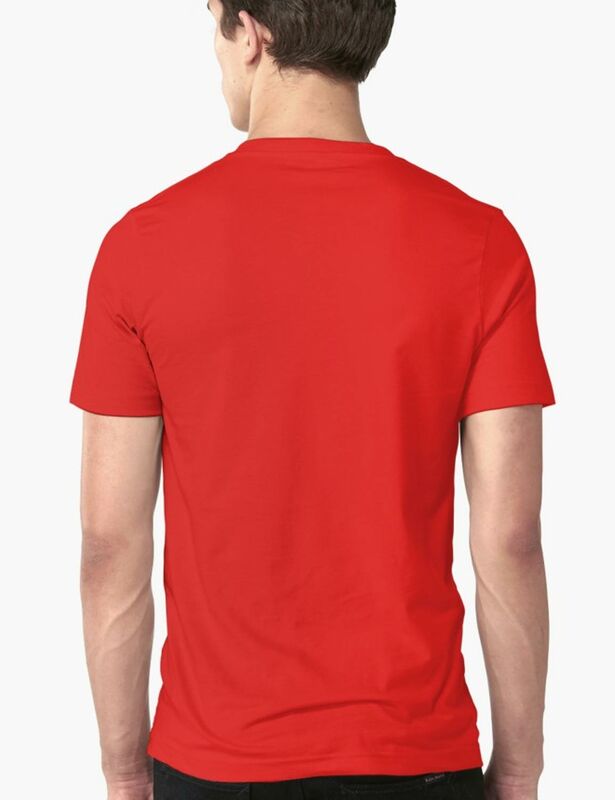 The noble class, the ritzy simplicity, the principled popular music body wear is absolutely world class. Just bring it on! 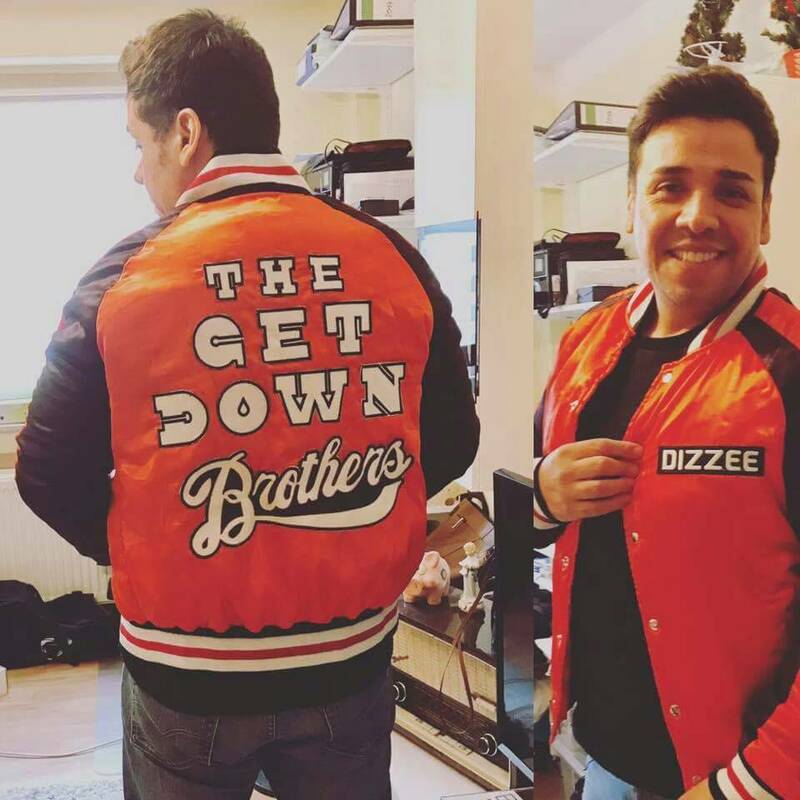 All its features are remarkable as The Get Down Brothers I am inspired by the character of Dizzee and his outfit made out of satin is worth buying. This outerwear is one of the adorable outfits I found on television with highly recognized fashionable gimmick for all the fans out there. I ordered the custom name on the jacket and I received it yesterday, all its features are remarkable as The Get Down Brothers :) here are the images of Medium size I wear which fits me perfectly! This outerwear is seriously out of the blue tat does get me down to it too. Well I mean it has extremely fabulous features to give a resemblance like the tv show where Jaden Smith does it all. What I like most about this apparel that even I wear size XL it still gives amazing outer-look to me to match the real assemble of this jacket. Elegant Crafting I got this outfit from here, which has elegant crafting, It has all the features notable and gives charming appeal. The writings on the back is exactly the same as I see on the television drama series. Rib-knit is also in good quality. I am feeling proud and I stand before you to recommend this product. Genuinely Recognized. 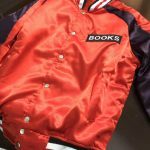 Love this VARSITY casual jacket! Genuinely Recognized. Love this VARSITY casual jacket! Cordially heartwarming and applicably academic when it comes to the looks. 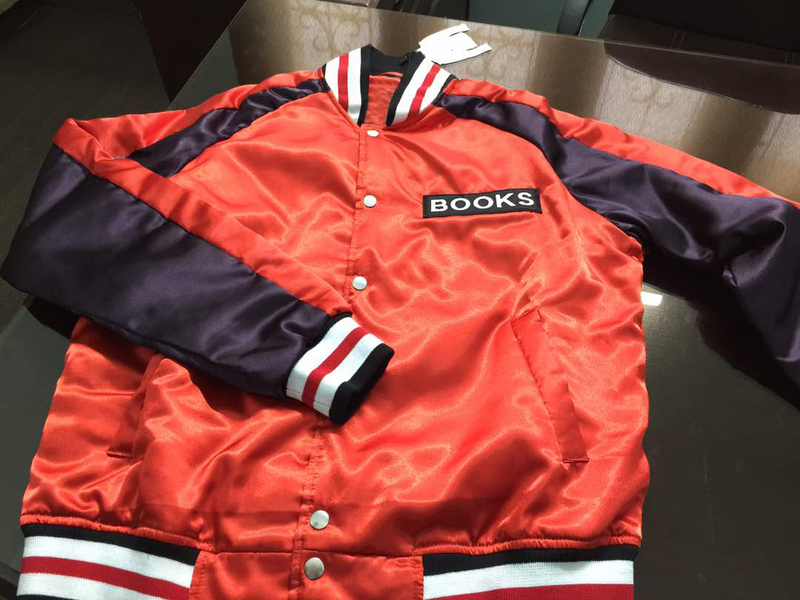 Im not that much of a fashion geek, but when it comes to the varsity wears… im totally into it. Of course, we don’t have any TV series entirely dedicated to merchandising like the Dr. Who, Arrow, The Flash, or many other dress devoted television programs. But the Get Down was worth the notice that one of my friends told me about. 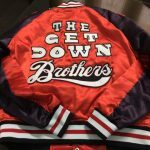 But down to the wire the Get Down series somehow caught my attention – an affiliated hiphop cultured swag straight from the Boston neighborhoods along with the varsity upkeeps. I was in tears with emotions as soon as I saw one of its episode that I searched on the web. 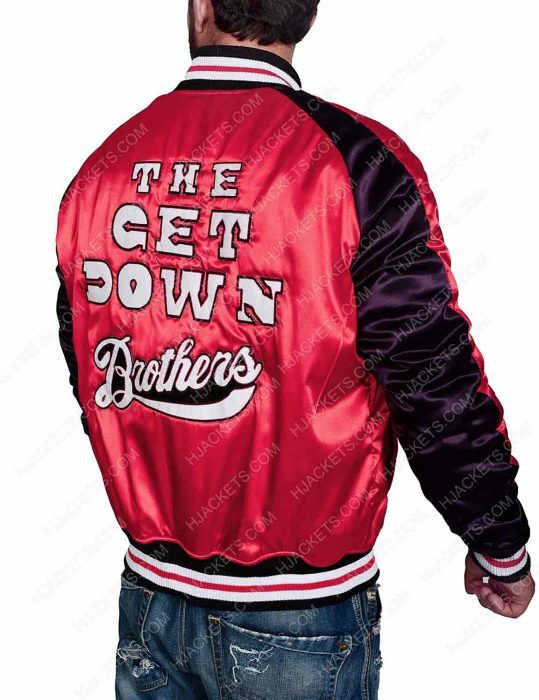 Came down the wire to find out a reasonable jacket from the Get Down series. The satin fabric is generously implied with all the descriptions as prescribed on the website… I am a 59” guy with a mass of about 200 pounds… figuring out what’ll fit me best… had to talk our with the customer services who guided me friendly throughout the whole process. Personally, I loved the rib-knitted touches that secures the long-lasting trace to the next level. Got my parcel a few days back and im quite satisfied with the overall jacket as shown here. Picture-perfect features and a flawless notion to the jacket. Thank you so much. Well-designed-good looking! I did my measurements as consulted with the sizing guide when I was going to place order. But the arms are more large maybe it's to fit this way, hence something noteworthy. I was taking a looking for Get Down Jacket as Jaden's Red and blue colors. being a hip hop kid. 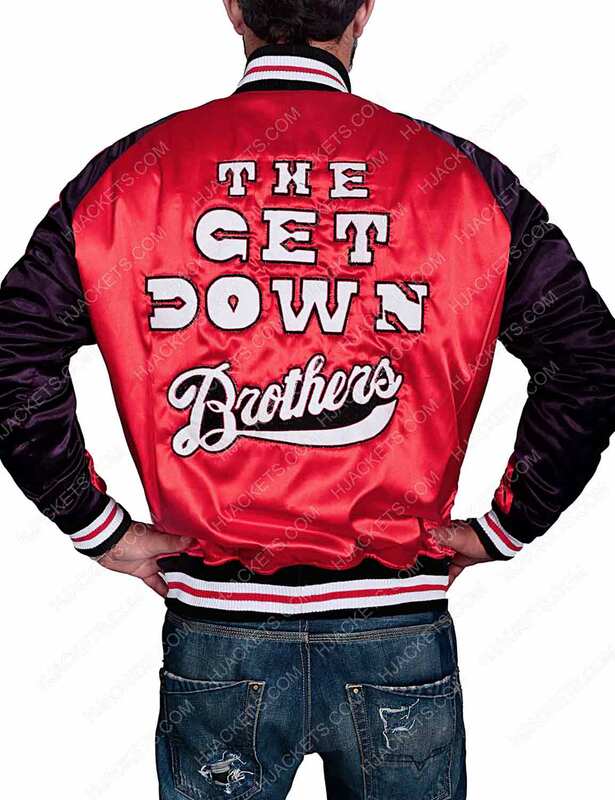 As varsity-type jacket that my brother could wear to his baseball team reunion. 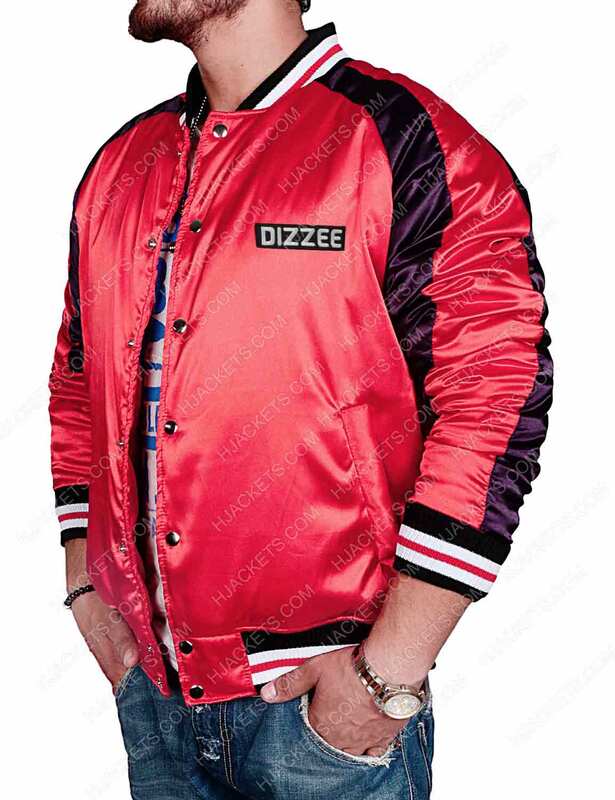 He was very charmed with the awesome quality and the sensational soft feel of the jacket - the jacket is very well designed with awesomeness feel of the jacket completed the look. But nice quality and nice looks. Comparing Difference This Fits amazingly well! it is not loose nor too wear tight with the t-shirt I wear inside. I found such an elegant outerwear as my favorite jacket. According to Style this jacket has entire appears pretty and I received many comments, positive and praise all over the town. Simply because of its quality. As I was comparing the difference from others who sell this thing. I say this it cab be compared but the one I got looks better as it cost me costing $40 more. its sleeves are fabulous, as I'm 5'10 and it is well fitted and perfectly. 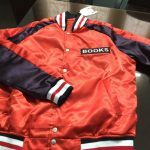 although one thing I must reckon that a bit delay in delivery is simply because of the top quality of the jacket. This Fashion is very suitable style for punk rocker kids, another good thing about it,it has light pockets. The buttons style is very casual and the collars are rib-knitted which is a good thing for a guy like me, I personally like it very much. The the red and black shade is pretty. 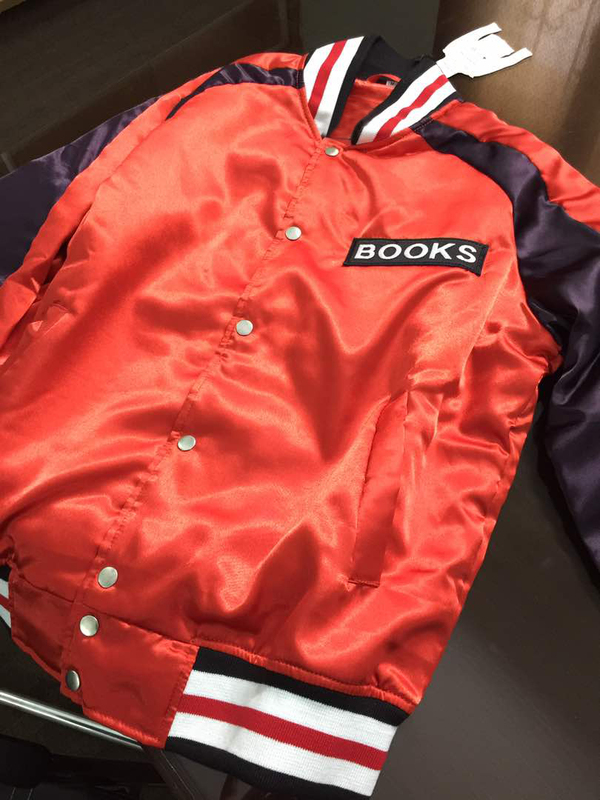 It is a wonderful appealing jacket which Looks intriguing with Flexibility of the material that looks exactly like from the tv show. I'm 5'9" and the jacket is fitting me perfectly. I simply love this jacket. Money well spent. Highly recommend this outfit to all. Dear Customer, We are offering the screen accurate design it can not be gotten with the red snaps instead of silver. Dear Customer, It is up to you, If you want this in complete capital so we write this in capital letters. Gentile Cliente, Sì ci stiamo spedendo in Italia..
Dear Customer, Yes the jacket includes two hand pockets. We apologize for the inconvenience. Dear customer, yes the toddler size is available you can place your order with custom measurements. Dear Customer, Order Estimated Time Is 10 To 12 Working Days Until Delivery But If You Place The Order So We Will Get Back To You Package As Soon As Possible. Dear Customer, Whichever Name You Would Like Us To Write, Simply Select The Custom Name Option And Mentioned In The Name In Comment Box. Dear Customer, No Its Not Mandatory At All, You Can Select The Without Name Patch Option. When You Will Placed The Order. yes, Do you Want as Miles "Boo-Boo" Kipling or Simple " BOO BOO" Name..? Make sure to mentioned in the comment box when you will order.. 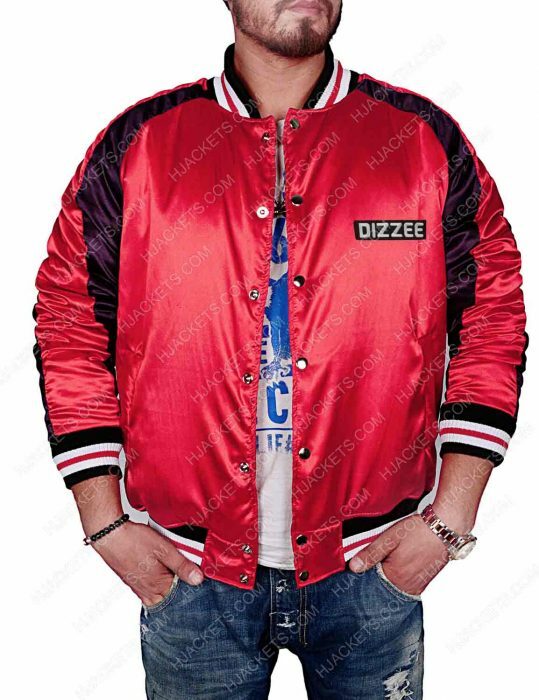 Answered:	Dear Customer, All You Have To Do Is Mention This In The Comment Box Before You Checkout That You Want This Attire Without the embroidered logo..
Dear customer, Yes we can make the name logo on the jacket as you want. This will cost you $20 extra charges. Feel free to ask us any more questions you may have.